My daughters and I went in his stead, we had a fine time, and Dad observed Shakespearian parallels. Until my daughters requested I turn on the radio. 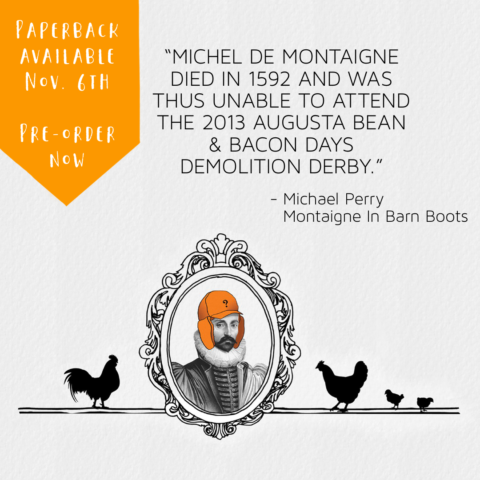 I wrote about it in Montaigne in Barn Boots, available for pre-order right now right here.